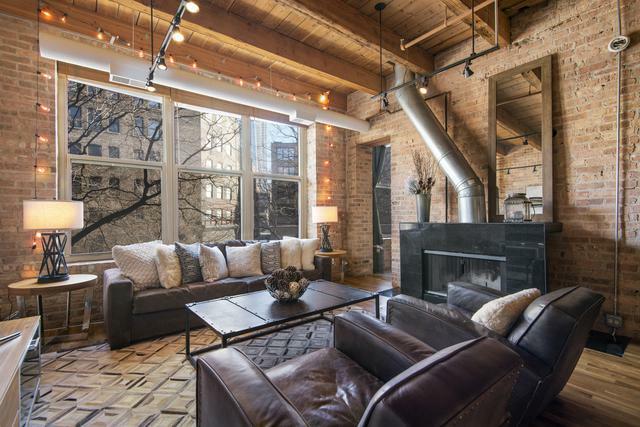 Rarely available true brick & timber loft in desirable River North. Newly renovated 2BR/2BA plus 300SF bonus room on same flr, so many possibilities! 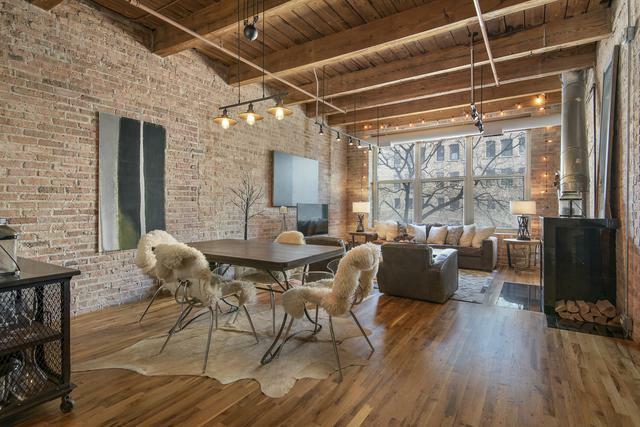 Enjoy the exposed brick, duct work, high ceilings, fireplace & refinished hrdwd flrs. Open concept kit features lrg island, new gray cabinetry, Quartz countertops, ss appls. Designer lighting and industrial hardware thru-out. Mstr suite features walk-in California Closet, new luxurious shower w/French drs. Generous guestrm or office. New HVAC, w/d, freshly painted. 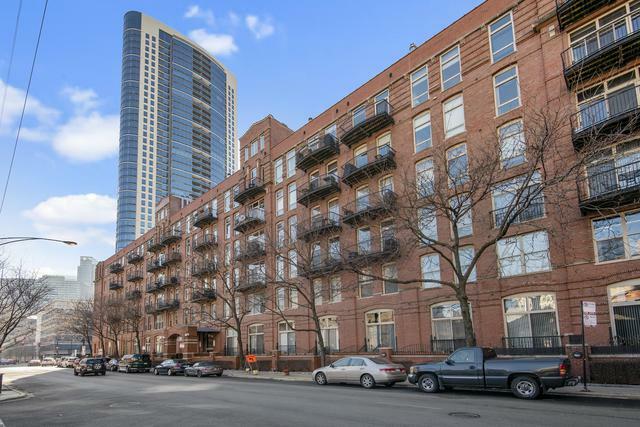 Full amenity bldg with 24hr drmn, roof deck w/360 views, River front terrace w/grills, fitness rm, drycleaners. Lobby features rotating art gallery. On-site mngmt + maintenance. Pet friendly. 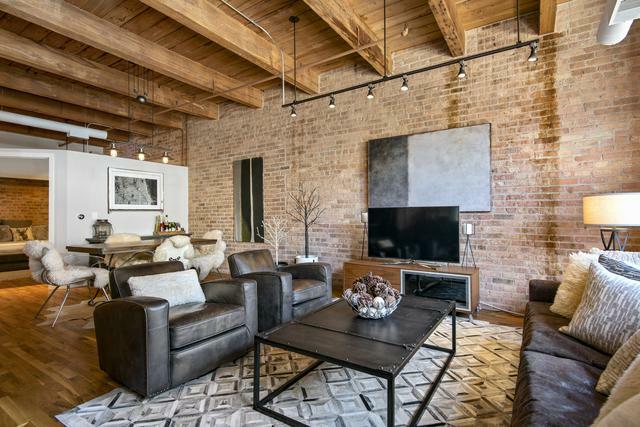 Fantastic location, just steps away from East Bank Club, dog parks, expressway, Blue/Red/Brown Lines, restaurants, art galleries + night life. Prime heated gar parking, Xfinity cable/Internet included in price.